Description: The 1990 Gay Games was held in Vancouver from August 4 to 11, 1990 and was open to athletes and artists of all sexual orientations. Approximately 7,300 athletes took part in 27 sports, with another 1,500 cultural participants attending. 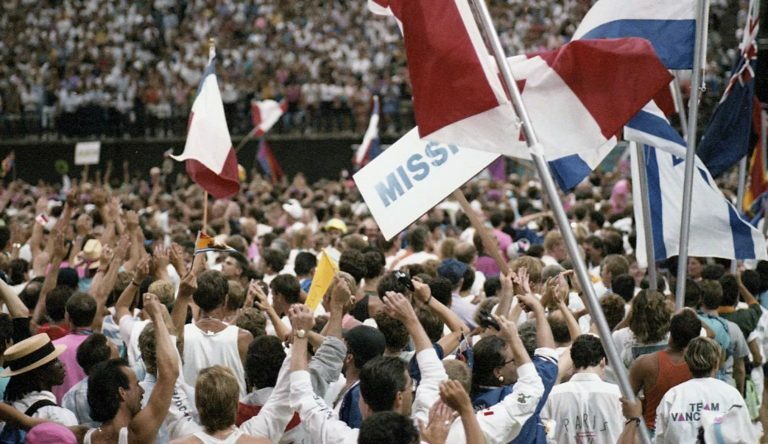 The event was significant for being the first Canadian-based Gay Games and the first Games ever to be held outside the United States. Stage 1 of this project digitized 47 videotapes, 240 photographic negatives, and 100 pages of textual materials.